I never thought having dead greens could be so interesting. Extreme circumstances like having to grow in new greens has given me completely different growth rates across my greens. Obviously this isn't great for consistency but it is great for learning stuff and maybe improving for the future. 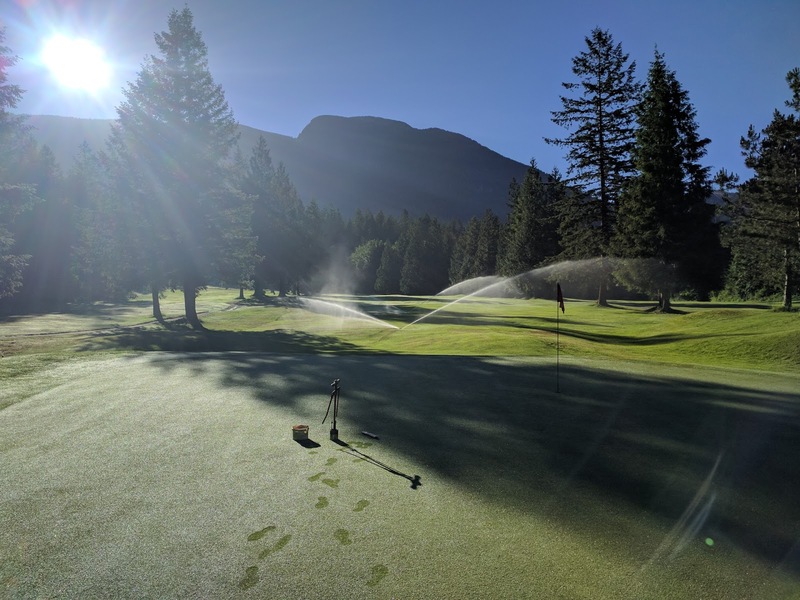 Right now I have highly variable growth rates on my various greens and this can be used to my advantage to see how this different growth rate impacts playability. This week I decided to compare clipping yield to green speed. It's a limited data set and I will continue to collect it into the future to get better data but the first set of results is pretty interesting but not entirely surprising. Please remember that there are a million variables involved here. Grass type, cultural practices, height of cut, roll or no roll all can impact the ball roll. I think this will have to be measured on each course and for each cultural practice to figure out what is best for your course. Also note that this is preliminary data and could obviously be more thorough but I'm only one guy who has a course to run, this isn't a research farm! So from this data you might say that the higher the yield, the slower the greens. But what if you double cut? Yield goes up, speed goes up or stays the same. hmm. Maybe we need to look at it slightly differently. What if instead of total yield on a green, we look at it as yield per cut? So I decided to test this on my greens with a higher yield. I double cut holes 2, 3, and 5 as they had the highest yield today. Nothing new here really, except now that I am monitoring yield on each individual green, I can optimize green speeds based off this data. Lets look at today's data and see how it statistically changes our conditions. After mowing the high yield greens a second time the coefficient of variation (Cv) of the yield went up overall, but it went down for stimp just as we would expect. So how can we optimize green speed based off of clipping yield data? Well, if we can get a low clipping yield Cv we can probably get a low stimp Cv. By varying fertilizer rates on greens the yield Cv (single cut) is going in the right direction. Still, nothing really that new here. It's just common sense. What I do think is new is how we can use this data in the real world to ensure that we are producing the most consistent playing conditions from green to green, especially during times when growth rates are wildly variable like they are for me as we recover from winter damage. I'm not hosting the US Open or any pro tourney for that matter so I don't have a dedicated crew to ensure that the greens are consistent every day. What I do have is one person who mows the greens and collects the clipping in the basket. It is almost no work to dump these clippings into a measuring pail and to write how much you got down. With this clipping yield I can have my staff automatically determine if a double cut is needed or not. Of course, as you can see from the data above, my green speeds with a single cut only aren't that variable for a public course. Most golfers here simply couldn't tell the difference. But for those special tournaments it could help us optimize our green speeds. I'm not the only one already doing this. I can determine the optimal yield-per-cut and have my mower operators double cut a green if they get more than that yield. Ideally we would want all our greens to grow consistently but in the real world they might not 100% of the time. I also have a hunch that as green speeds increase well above our relatively slow speeds this week, the variance will increase with a smaller yield Cv. So yield could be more important the faster your greens get. I'm not 100% about this because my greens aren't fast. So what is the optimal clipping yield? I think that is highly variable for each of the variables that you apply to the grass that could impact green speed so each course will be different. I can take all my yield vs stimp data and sort it by yield and compare green speeds over a certain yield vs green speeds below a certain yield. I don't have any data below 1L...so that's as far as I can go...for now. 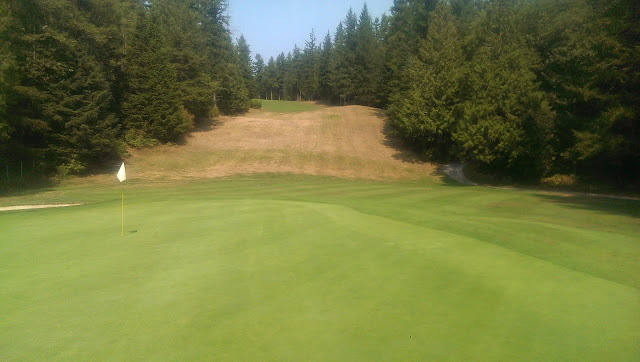 For Paul Robertson at the Victoria Golf Club, they have found their optimum is 0.6L/100m^2. As you can see, the lower the yield, greater the difference in green speed on my greens. So if I want to get the maximum green speed (and consistency between greens) with my management practices and mowing alone (no rolling but why would you not roll?) I need to get less than 2L of grass per 100m^2. I could also make it easy for them and would give them a yield for each green that would take the area of the green into account. This leaves me to wonder if it is better to find consistency in green speed with a roller or with a mower? I have seen in pro tournaments that they roll different amounts to get that consistency but I wonder how that impacts consistency over the long term. So many questions and even though they really aren't applicable to real life for most courses (because who NEEDS green speed variation around 2-3") I think that if you know the various impacts of different practices you can optimize your greens with minimal effort. 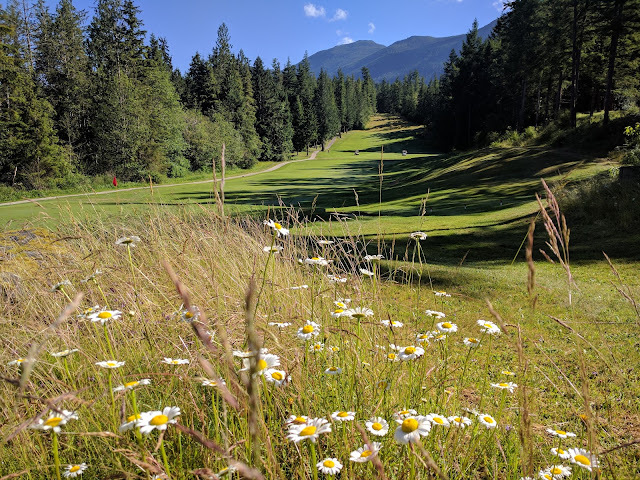 I'm not only concerned with optimal green speeds, I have to balance budget, labor resources, and impacts on disease and the environment but by knowing I can try to achieve this with mowing if necessary, or controlling the growth rates ideally. I plan on dropping the HOC on greens this week so it will be interesting to see how these relationships change as the HOC drops. Starting to figure this soil balance thing out.